November writing is all about being thankful - thankful for what we have and for what others have done to allow us to have what we have! From Thanksgiving to Veterans Day, there are a ton of great writing activities and prompts you can do in November! The first event we write about in November is Election Day! Election Day may not seem like the most exciting thing to talk about but it can be a lot of fun because kids LOVE to vote. There are a lot of great books you can read and then follow it up with a writing activity about Election Day and why it is important to vote. My favorite activity is to have a class vote! Get an empty tissue box and wrap it in red/blue construction paper and create a ballot box. Do a few silly mock votes first where students simply raise their hands with their heads down (since voting is supposed to be confidential) and tally it up on the white board and count it up with them for some sneaky tally marks math practice as well ;) You can ask silly questions like "Would you rather be a dragon or a unicorn?" and do a few quick mock votes. Then, tell students you're going to do a real vote where they get to decide on something! Write the 2 choices on the board and give them a strip of paper to write their choice on, fold, and place in the ballot box when they're done. If you want to be fancy, you could print up little voting sheets that have the 2 choices and a box but that's up to you! After all the votes are in, you can empty the box and go through each vote, saying it out loud and adding a tally mark on the board... then total it and announce the winning choice! As you can see in the green "My Vote" writing activity above, I wrote 2 choices on the ballot - extra recess or craft - for students to choose from. The ballot I provide is empty so you can write, or have students write, any 2 choices in there that you want. Then, they mark their vote and write about it. I love this activity because students get to participate in a vote that matters to them and see that every vote counts and matters. Pick something to vote on that they care about - maybe which activity they do Friday or what snack to have that day. 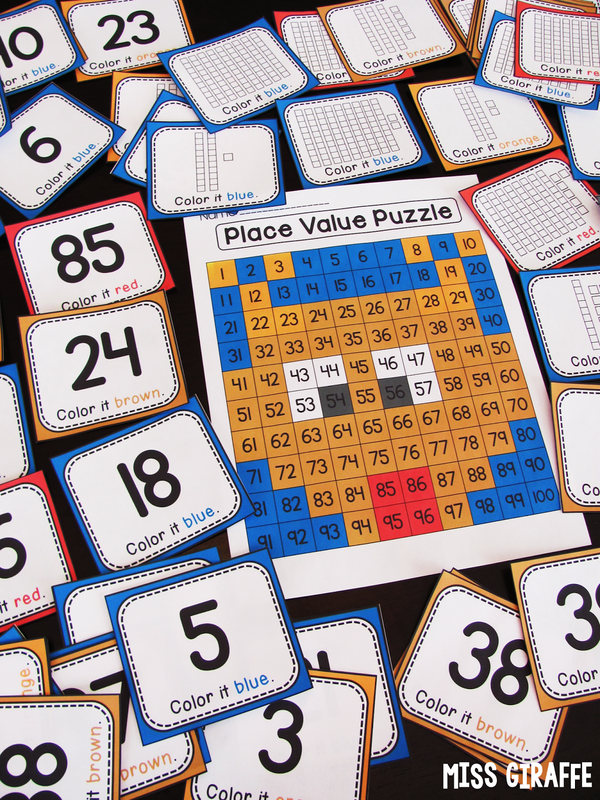 You can grab all these in the Election Day Writing Activities pack. The next holiday in November is VETERANS DAY! Veterans Day is a time we say thank you to the veterans that have served our country. 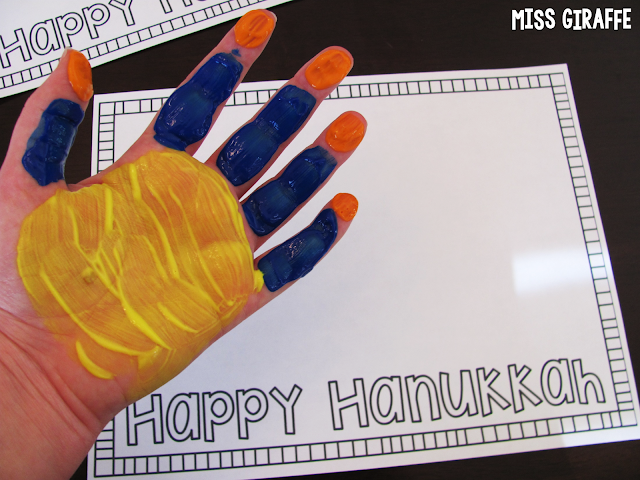 I created these fun Veterans Day crafts to honor our veterans. I made both a male and female soldier and both a male and female patriotic kid so you have a few options to choose from. You can use them to write letters to soldiers or to write about Veterans Day and why we celebrate it. 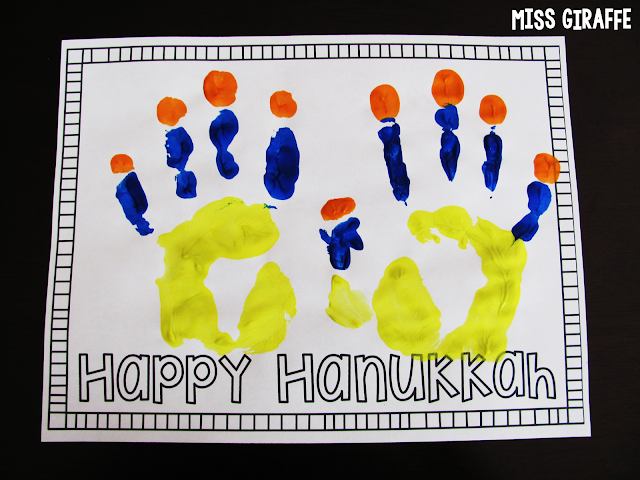 These make great bulletin boards if you give each student a boy or girl craft to color like themselves and let them choose red, white, or blue paper as the background - it makes a really awesome patriotic display! 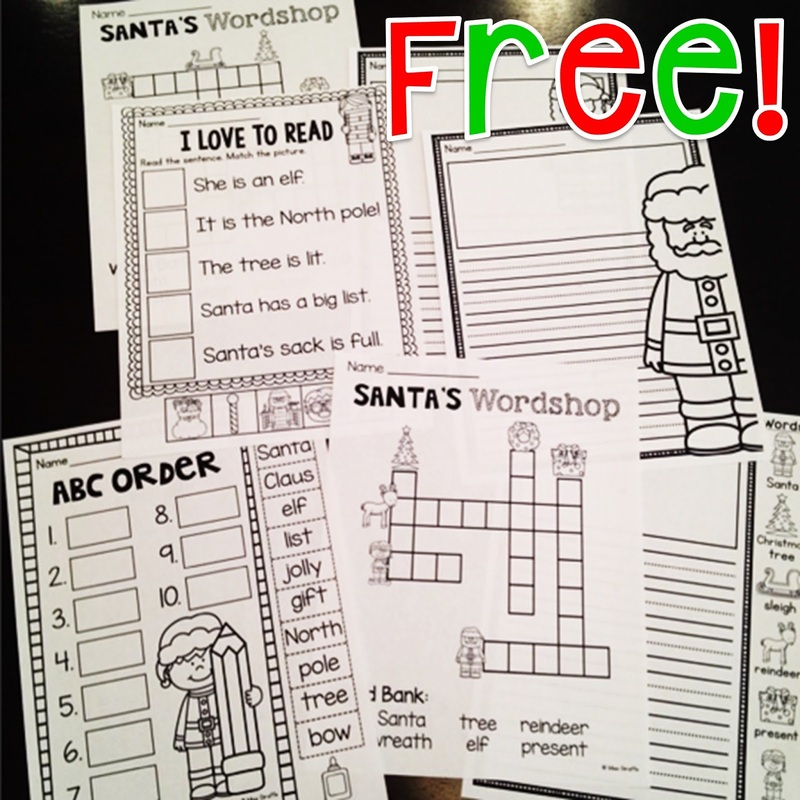 These are all in the Veterans Day Writing Activities pack. Don't think I forgot you, my worldwide friends! Then it's time for THANKSGIVING writing fun!! 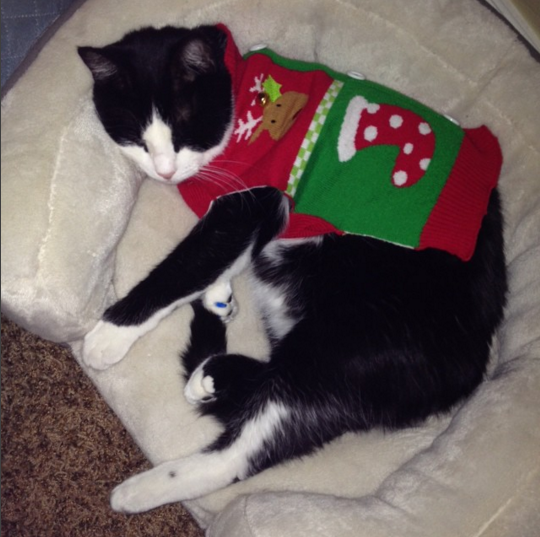 In my holiday writing activities, I like to include as many writing genres as possible for the writing prompts - how to writing, opinion writing, creative writing, narrative writing, etc. so that fun, seasonal activities can still be really educational. Thanksgiving is a time where we think about what we're thankful for which is a great writing topic! 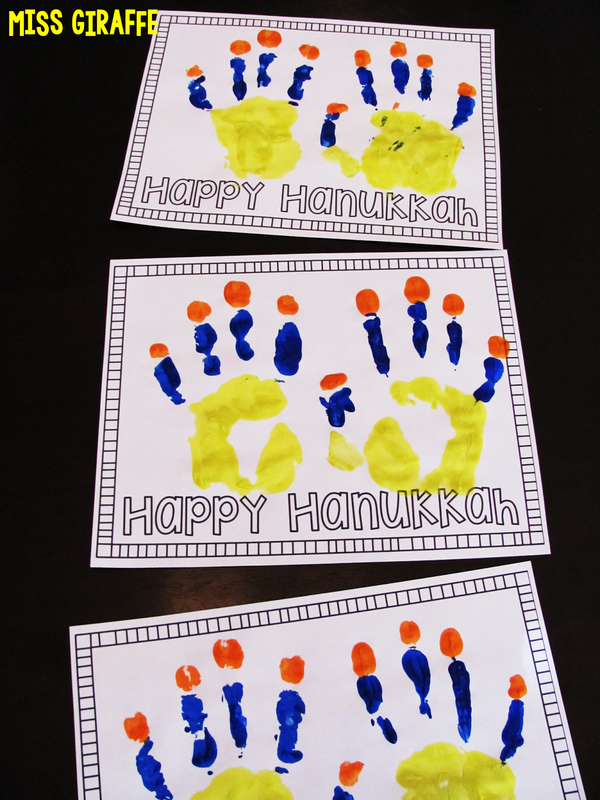 First, brainstorm all of the things you're thankful for together as a group. Any time you are brainstorming together, I think it's great to have students add detail to their idea while you're brainstorming. Instead of just making a big list of what we're thankful for, have them add 2-3 details to it of why they're thankful for that particular thing. This will really help their writing later! 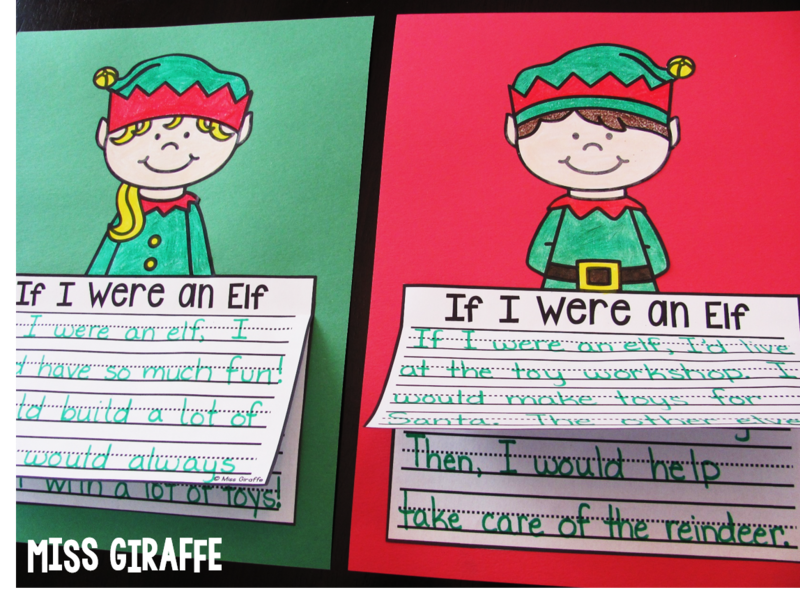 Then, they can take what they've brainstormed and write about what they're thankful for with this cute writing prompt. I am loving owls recently! How cute are these little Thanksgiving owls?? When learning about the history of Thanksgiving in social studies, I think it's fun to pretend like we're pilgrims. There are so many great things you can talk about of the differences of how they lived then vs. how we live now. 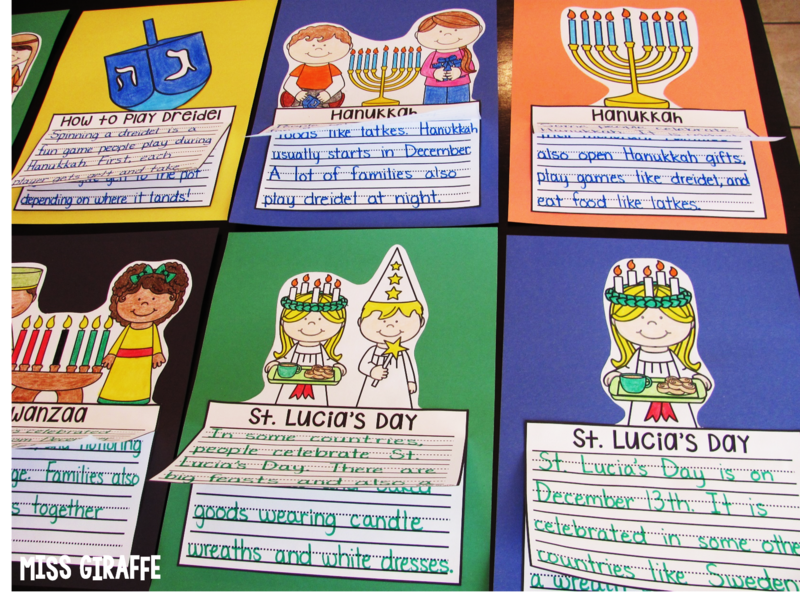 This is a fun little writing craft you can do to see how much they learned about pilgrim life (or just as a fun creative writing piece!) to have students pretend they're a pilgrim and imagine what they'd do! Have students color themselves as a pilgrim and use the fun writing prompt to imagine themselves as pilgrims! BUT a pilgrim wouldn't write with any ordinary pencil! 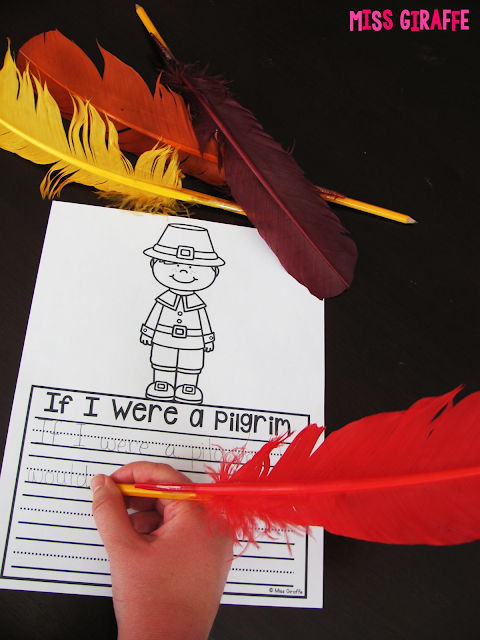 Attach feathers to their pencils to make writing quills like the pilgrims would use! All you need is a pack of long Thanksgiving colored feathers and some tape. You can secure them really well with just a little piece of tape around it - be sure to leave enough pencil room for their hand to grip the pencil with. You can get a pack of 20 feathers at the big craft stores for around $2.50 if you use their weekly 40-50% off coupons! If you have enough LED candles, you can also turn the lights out for this writing activity and turn on LED candles around the room to make it even more realistic. I also made a writing craft activity for learning about The Mayflower for some great nonfiction writing practice. Then it's on to the yummy part! 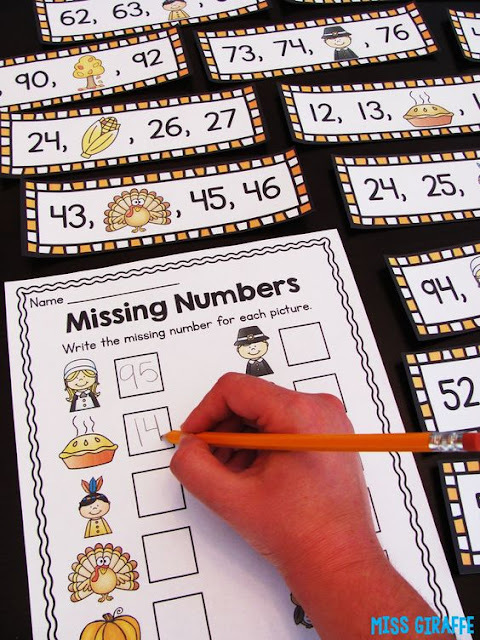 For some how to writing practice, brainstorm with students the steps you would take to make an apple pie. 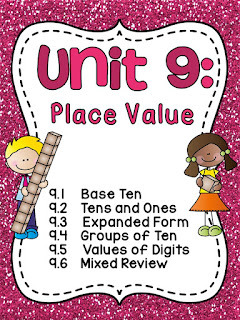 Have students fold a paper into sections (however many sections for the amount of steps you teach them) and write the steps you created together for them to take to their seats and write. 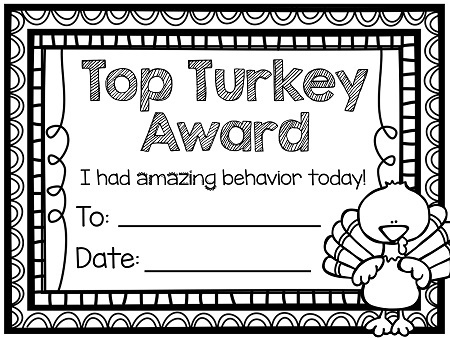 Extra bonus points if you bring in an apple pie for them to have a little sliver of during/after writing. 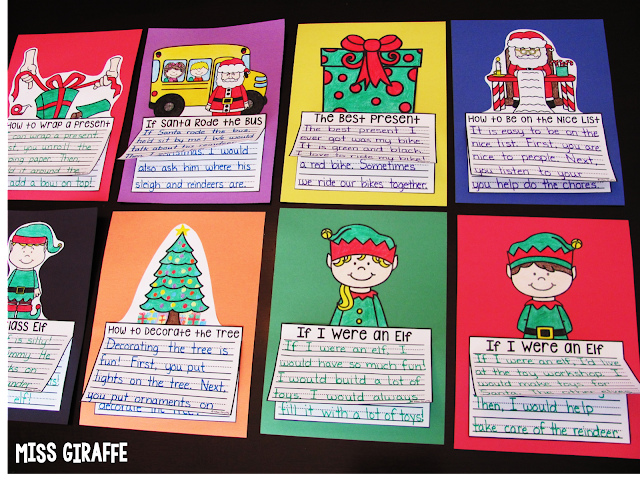 For opinion writing practice, have students write about what kind of pie is their favorite! Have them brainstorm why and add as many details as possible. The thing I love about these writing prompts is that they come in 3 writing levels (amount of lines on the page) - all of the ones pictured in this post are the easiest level with 4 writing lines BUT you can extend them as big as you want to create this book appearance where there is a page, or pages, underneath where they can continue writing so it's easily differentiated. 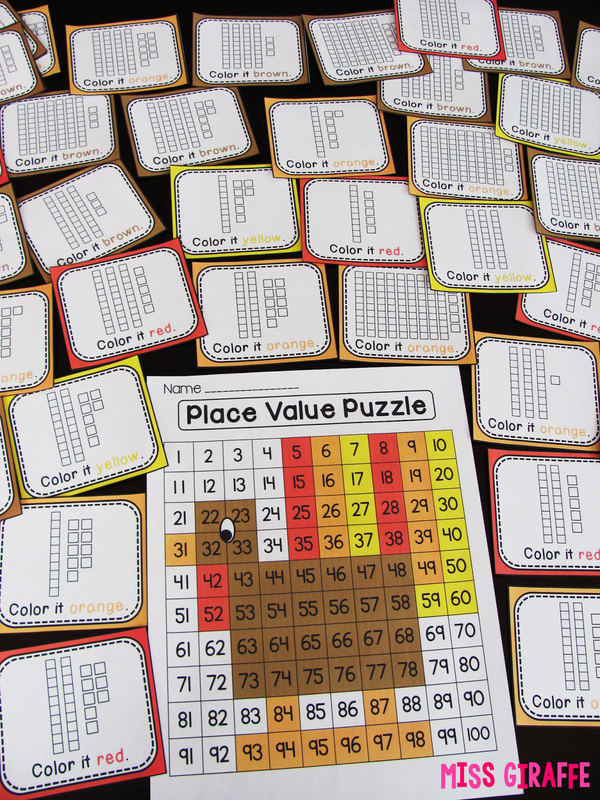 For older or more advanced students, they can start out with the pages with more lines and still add the "extra" pages to the back so these can be used with such a variety of learners and all do the same activity on their level. And you can't write about Thanksgiving without the turkey!! 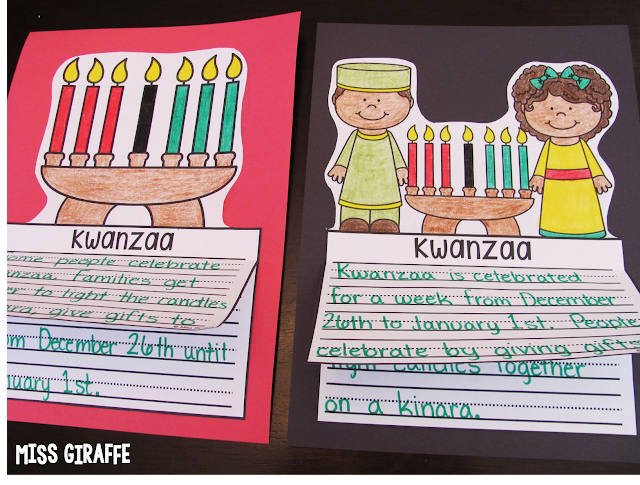 You can get all of these Thanksgiving writing activities in my Thanksgiving writing pack. Another fun center I love is Thanksgiving Missing Numbers! 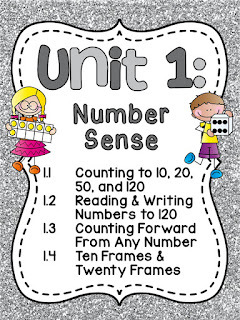 Kids look at the Thanksgiving object or character and figure out what number it represents then write it on their recording sheet. It's also in Spanish here. 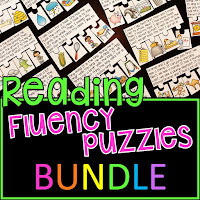 I also have a Thanksgiving Activities BUNDLE of a lot of these activities if you're loving the Thanksgiving activities you see and want them all :) It also includes my Fall Reading Fluency and Comprehension Puzzles which are fun for November reading comprehension practice! 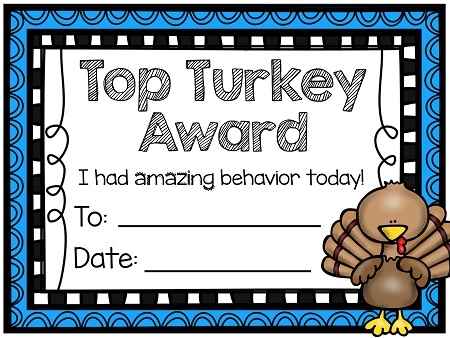 Another fun thing I like to do each month is make a new behavior chart! If you use a behavior chart in your classroom, you may notice that it's really effective at first but then it gets old. 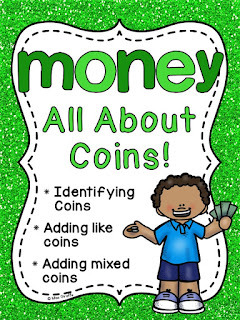 BUT if you switch it out each month with new goals to reach and new certificates to earn, it's like a brand new exciting behavior management tool each month that gets kids excited to get to the top of. 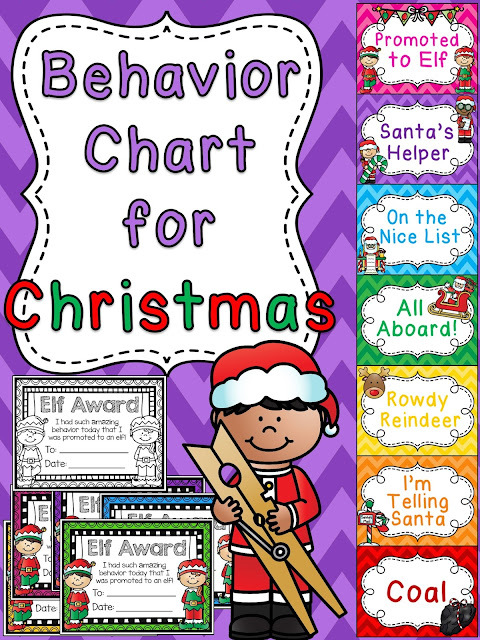 I talk about this in my 20 Classroom Management Strategies You Can Start Right Away post if you want to read more about switching out the behavior chart and other tips. For switching out your behavior chart - always keep the color order the same for going up/down the chart (pink, purple, blue, green, yellow, orange, red) each month and have only the words and pictures change to the new theme. 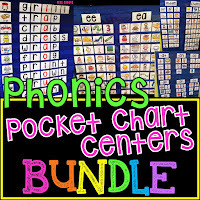 That way you don't have to explain anything - just switch out the chart at the beginning of the month and wait for the "ooooh!! "s when they walk through the door to see the new chart. I recommend starting with my plain chevron chart or (one of the themed ones if you have a themed classroom like baseball, space, soccer, cowboy/western, etc.) for them to learn how it works and then switch to thematic ones starting in October for Halloween then each month after. 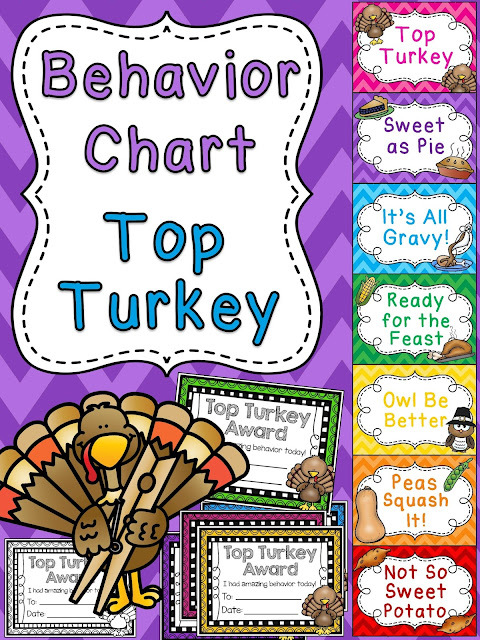 For this Thanksgiving behavior chart, students are trying to be the top turkey!! 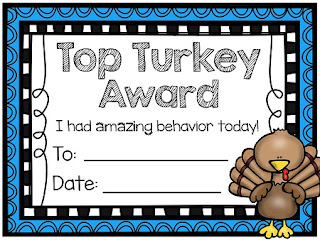 If they get to the top of the chart, they get a Top Turkey Award to take home to their families. 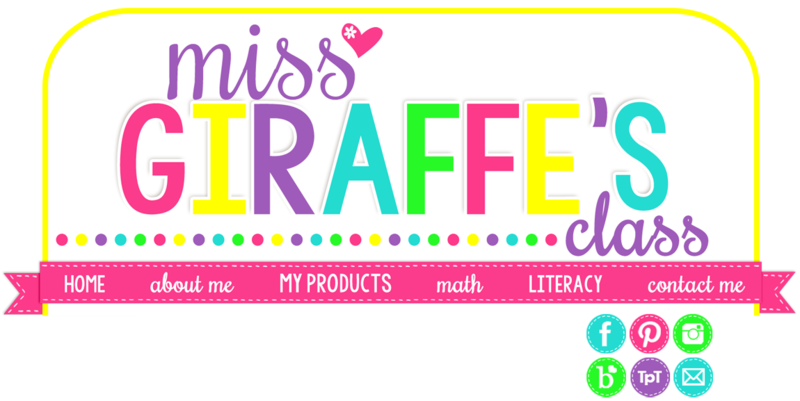 I have them in 5 different colors as well as a black and white version students can color as an extra reward if you want! 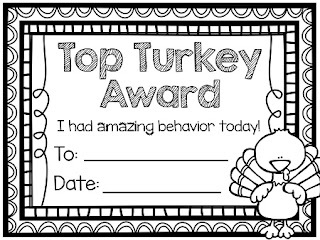 If they reach the top, maybe their reward is they can stop what they're doing to color and decorate their award to bring home to their parents.